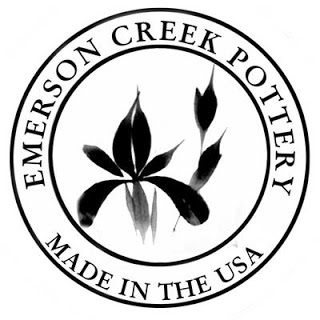 Located in the Blue Ridge Mountains in Virginia, Emerson Creek Pottery has a long history. What I find intriguing is that they still hand form each clay piece, hand painted and then fired in the kiln. They don't have a pattern or stencils so you know that each fine piece is one of a kind. The artists do it so much that they have the patterns committed to memory only, so if you're acquiring a set, the will still be similar, just not identical. I also love the fact that each piece is Made in the USA! This is fine craftsmanship and each piece is stamped on the bottom with the date and their signature so you know it's authentic. I love this small loaf pan in the copper glaze. It's so easy to make a small loaf of banana bread or any other for that matter for us. I've been using it to make small loaves to give away for Christmas. It heats evenly and the glaze stays intact, even with the heat and the repeated washing. Emerson Creek offers quality pottery that would make a great addition to your kitchen or for gift giving! There are several designs to choose from, so you're sure to get something that will fit your decor or the person you are gifting! 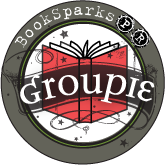 One lucky reader will win a small loaf pan in copper from Emerson Creek Pottery! I would like to win the field of Iris ceramic bake-ware dishes. They are absoulutly adorably. And would be great with casseroles. Red Poppy Posie Pitcher - I totally want it!! They have so much I'd love and at such reasonable prices! I'd like the dragonfly pie baker.. Lavender Bathroom Set, just lovely!! I would like the go green baking dish. I would love one of the ceramic tea sets. The red poppy is cute! The Lavender Baking Dish is nice! Love to have the Ceramic tea sets. I would like to try the dragonfly serving bowl. I also like the apple bakers! I love the Lavender Baking Dish! I love the american blue cookie jar! so cute! I like the Copper Clay Baking Dish. I would love to have the Lavender Brie Baker | 1 1/2" H x 8" W | Price: $18.00, it just looks so awesome :) Thank you for the fun. 8 oz. Go Green Earthware Sugar Bowl is my favorite. Dragonfly 6 1/2" Onion Soup Crock. I love the latte mugs! I like the Coups Dinner Plates. I like the baby dishes with the ladybug print. I like the Dragonfly Dinner Set for Four .